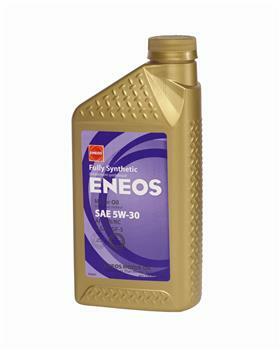 ENEOS Fully Synthetic High Performance Motor Oil is formulated from 100% synthetic base oil, providing superior thermal and oxidation breakdown resistance. These oils flow better at cold temperatures, reducing wear on critical engine parts at start up. ENEOS Fully Synthetic Motor Oil contains a carefully balanced blend of additives that help improve fuel mileage by keeping the engine clean, protecting vital engine parts from wear and reducing internal friction. 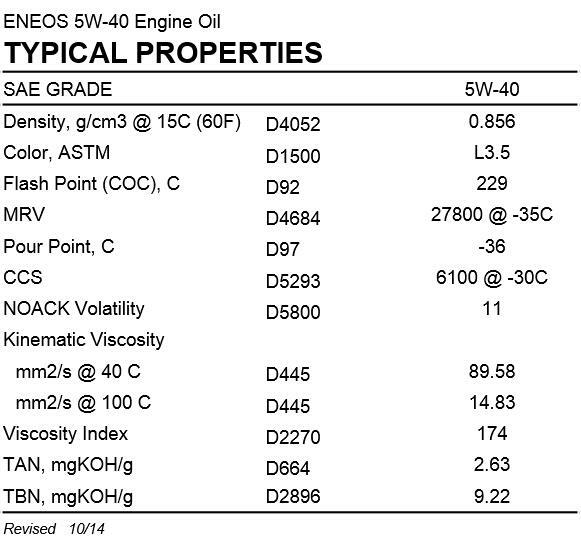 ENEOS Fully Synthetic Motor Oils exceed the latest API Service SN and ILSAC GF-5 classifications. 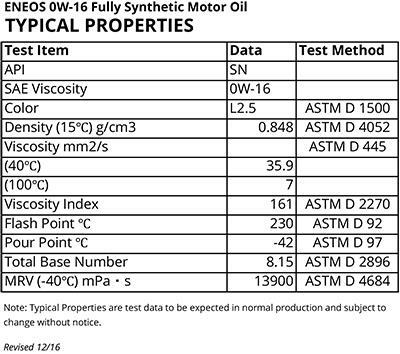 Additionally ENEOS motor oils exceed the service fill requirements of Toyota, Honda, and other Original Equipment Manufacturers (OEMs) where an SAE 0W-20, 5W-20 or 5W-30 motor oil is specified. Eneos 0wx20 synthetic motor oil is the best for gasoline sound engine especially if you have a high reving engine, this is the perfect nutrients of your car needed. Reducing friction, wear and heat is the very best function of this kind of synthetic oil. Eneos 0wx20 all season on the go. You can travel in a different planet by using this oil.